Evinrude California 1 Star Low Emission decal Sold by Each. 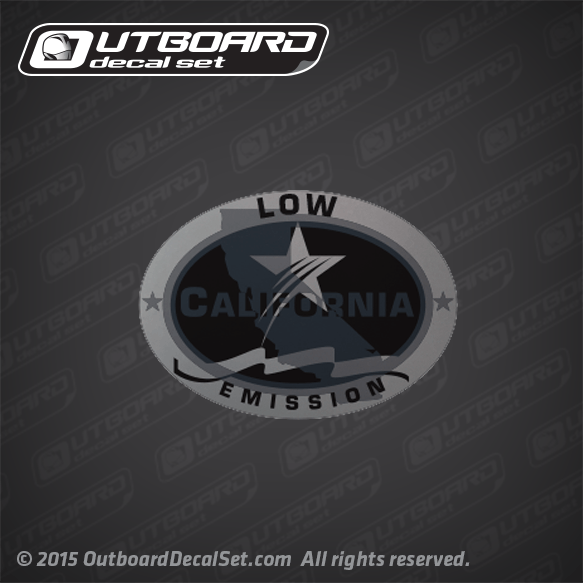 You get (1) Emission Outboard decal Low emission California decal. The one-star label identifies Personal Watercraft, Outboard, Sterndrive and Inboard engines that meet the Air Resource Board's Personal Watercraft and Outboard marine engine 2001 exhaust emission standards. Engines meeting these standards have 75% lower emissions than conventional carbureted two-stroke engines. These engines are equivalent to the U.S. EPA's 2006 standards for marine engines.